Wow, this last book in the series was packed full of action and so good! I mean it starts off fast and doesn't slow till the very end as the Campers take on Kronos. There are a few disgruntled Campers who refuse to fight at first but everyone has their place and time in the battle. 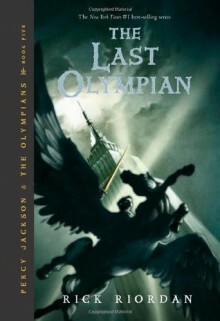 Percy and his friend are doing their best to protect Manhattan where Olympus is because the gods are off fighting other battles which is what Kronos wants. Typhon is causing a huge storm over the midwest and that is where most of the gods are and to normal humans it just looks like a huge and deadly storm not a huge monster. Percy is worried about making the wrong decisions as everyone thinks he is the hero that will either let Olympus fall or he will save it. He has a lot on his shoulders but the ending was surprising and it was interesting to see what happens to everyone in the end. As much as I love Percy and Annabelle I think Tyson and Grover will be my favorites from this series! They both just make me laugh especially Tyson! He was so brave!! I don't want to say a lot about what happened cause it would be horrible to spoil this really good book ending! 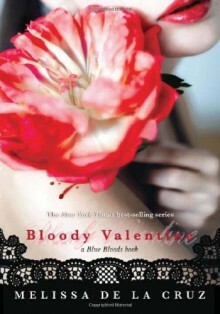 So just know that I really enjoyed this series and if you haven't tried it yet you really should!! I can't wait to try some more of this author's series now that I got this one done. First of all, I cannot emphasize enough that I think this book is worth sticking through the first quarter or hundred pages. I only feel the need to bring this up, because I was surprised by the amount of one-star ratings I saw for this book and realized the reason for them was overwhelmingly that people gave up on it about 20-25% in. I’ll be honest, I don’t blame those people who did. The first part of the book really seems like it is setting up to be another run-of-the-mill dystopian YA book like Hunger Games or Divergent. However, while it does not go into a completely different direction I think that the latter part of the book is incredibly well done and more than makes up for the stale beginning. There are several things that I really liked about the way this book handled itself after the initial set up. The first was that I enjoyed the relationships between characters. Most importantly, I liked the way the main character (Joy) was developed. There was a lot of internal monologue by Joy, as often happens in these kinds of books, but also actually interacted with several other characters including her Otherworld hounds which greatly improved the monotony that occasionally occurs. The friendships she developed were well written and nothing seemed overdramatic and were still quite compelling. Most importantly to me, she was in no way spurred on purely through romantic interest of any kind. This is a bit of a pet peeve of mine when it comes to strong female characters. I think that she was a nice balance between still being the young girl she is and being incredibly strong and mature when the time called for it (as expected of a heroine). The book is not devoid of romantic interest, which I think could also ring somewhat false or hollow, but it is very much a subplot that informs feelings and decisions but in no way could be considered a major part of the novel. The other thing I thought was handled quite well that worried me at first were the Christians (referred to as Christers in the book). I hate to admit I went from laughing about the fact that they were angry that this cataclysmic event was not the apocalypse to beginning to cringe about how they were being talked about for the most part (again in the first hundred pages or so). Again though, I think that this was beautifully handled in the subsequent sections of the novel when Joy befriends a Christer hunter nicknamed “White Knight” and we get to see her much more nuanced and interesting relationship with them as a whole. Also, the hounds are really cool and I want some. Overall, I don’t think this book will blow your socks off and if you can’t deal with a slow start it is not for you, but if you can get past that and like this sort of novel I think you will be well rewarded with the rest of it. I don’t know if I’ve been meta-analyzing books for too long, but I found myself willfully resisting the urge to do so with this book. 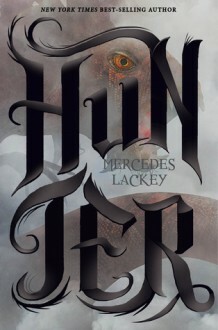 What I mean is that when I started reading it (more or less directly after finishing the first book in the series, Hunter), I found myself spending a lot of time trying to decide if I liked the way Lackey was trying to give enough background information for people jumping in cold vs. hampering the plot developing. From there ,I found myself trying to decide if the pacing of the overarching story was well done. While I have answers to both of these things now (if you are curious, I think she kept it about as short as she could and I actually loved the pacing since it didn’t seemed rushed, respectively) I found I had a lot more fun reading this book when I just took it for the story it is without trying to over think it. And I have to say the result was one of the more immersive experiences I’ve had with a book in a while. I get scared with sequels, particularly of YA, when I like the first book in a series. A lot of times, authors seem to use the first story to build a great world in the opener and then just hit the turbo button to too-fast-developing-not-super-thought-out plot in book two. This book absolutely did not do that. At one point I found myself thinking that this book can feel at times feel like it is just an extension of adventures from part one, which some may see as a negative but I really enjoyed. This is not to say that the larger plot does not advance. There are a lot of pretty important developments and the conflicts between the different government programs that are theoretically all supposed to be working together is particularly interesting, however, this information is spread out throughout the book with fun “hunts” and social activity thrown in to it feels like a much more natural progression of story than other books I have read. The conceit that was hinted at in the previous book that all of the Othersiders are represented in some way in human folklore or mythology is expanded upon in this book in an incredibly interesting way which opens up for even more questions about the worlds relationship with the Otherside. I also found the consistency of magic in this universe to be very satisfying. There is something almost scientific about the way magic usage is explained in this world and it leads to new discoveries in magic to be satisfying as a reader rather than random and like a crutch of some type to advance the plot. Overall I was pleasantly surprised that I liked this book even more than the first one. All the things I said in my previous review remain true, especially that the characters seem to act the way people really would which is something I love particularly in YA. 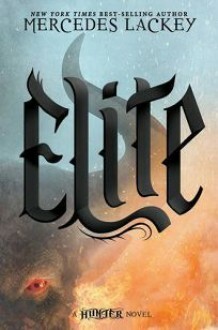 Now I just hope that the series does not suffer from my other largest concern which is not knowing how to end which retroactively makes me not enjoy the previous books as much, but for now I can confidently say that I cannot recommend this series enough if you are at all interested in YA fantasy!